There are some words you never expect to appear together in the same sentence. 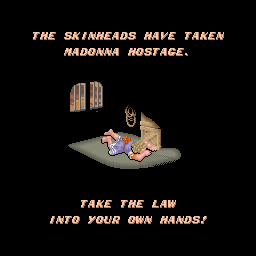 Wait…wasn’t this a deleted scene from “Desperately Seeking Susan”? 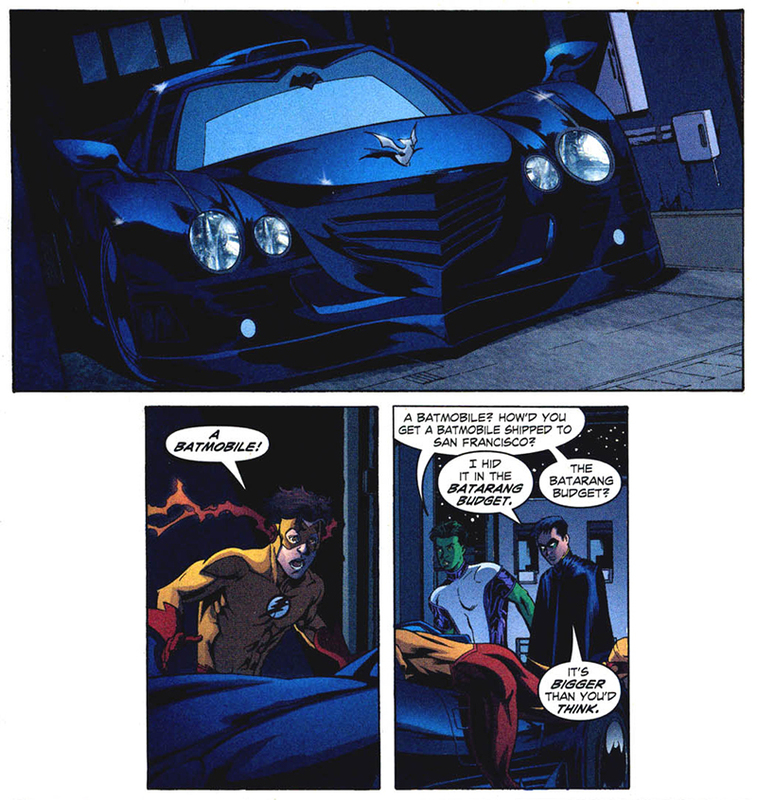 Today’s word salad comes to you courtesy of Vigilante by Data East. A Disney character by a Disney artist! 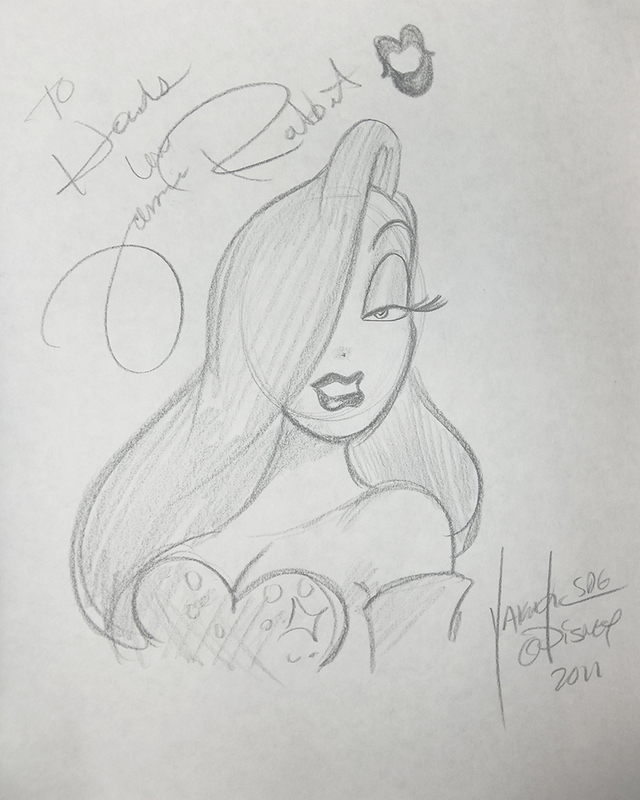 Today’s original art is a portrait of Jessica Rabbit by Joe Yakovetic. 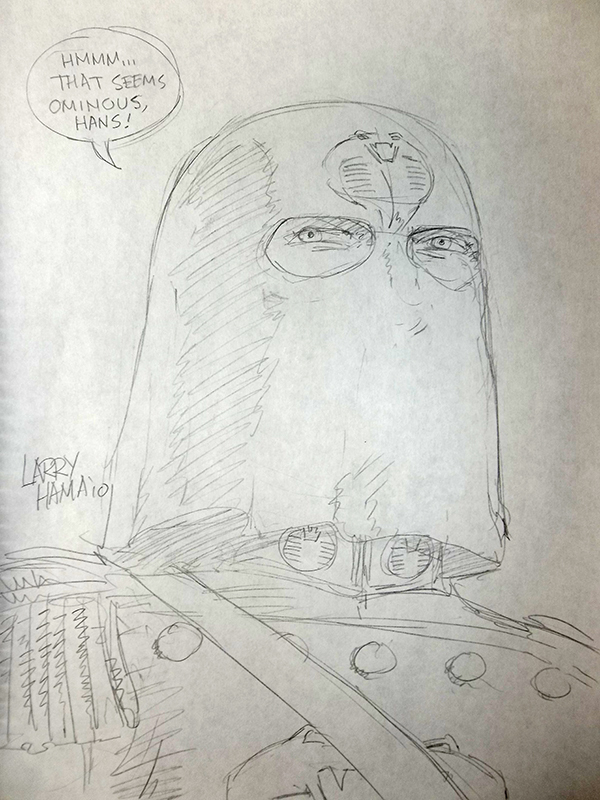 And here’s another special piece from my collection: a sketch of Cobra Commander by none other than Larry Hama, the man responsible for much of modern G.I. 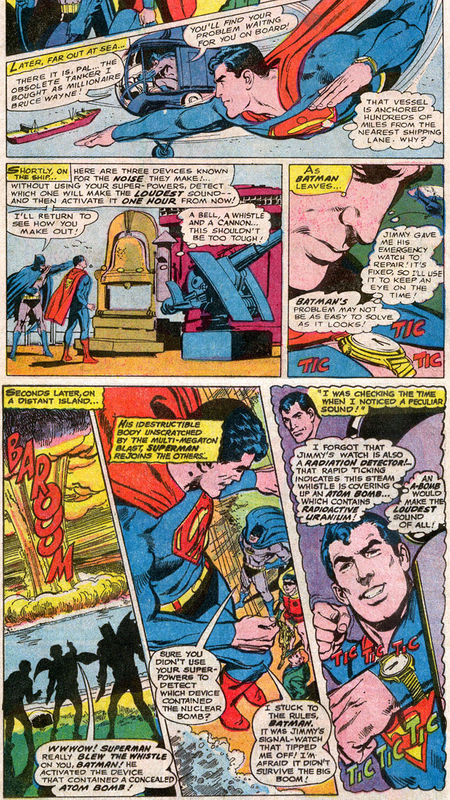 Joe lore, as he not only wrote all 155 issues of the Marvel Comics’ G.I. Joe: A Real American Hero comic book series but also the file cards for the action figure line of the same name. What good is living forever if you have nothing worth living for? 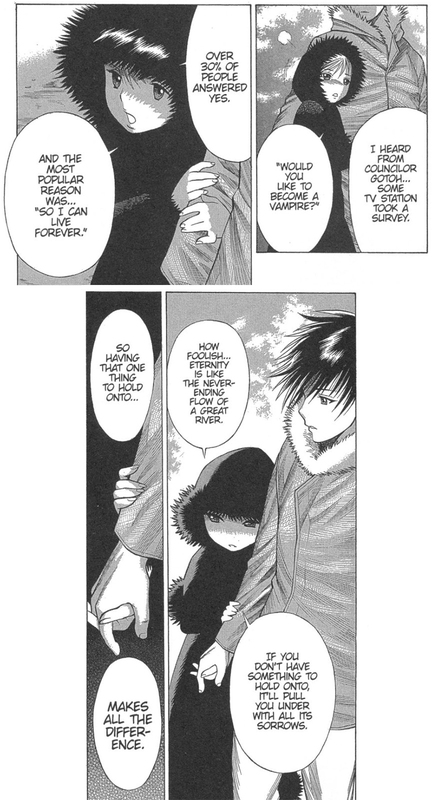 This sobering viewpoint has been brought to you by Dance in the Vampire Bund (ダンス イン ザ ヴァンパイアバンド/Dansu in za Vanpaia Bando) – Volume 3 (June 23, 2007) by Nozomu Tamaki. You read that right. 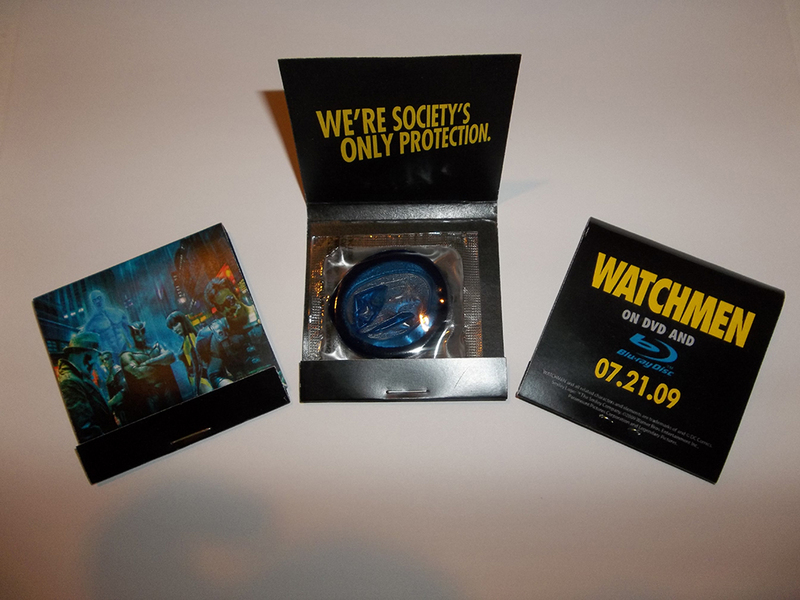 These were being handed out at a booth at Fan Expo Canada several years ago as a promotional gimmick for the upcoming release of Watchmen on DVD and Blu-Ray. And in case you’re wondering, yes, they’re as blue as Dr. Manhattan is.